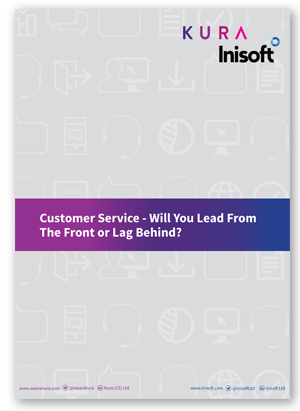 Home Customer Service: Will you Lead from the Front or Lag Behind? Kura and Inisoft recently undertook a series of projects with ContactBabel and CCA Global to understand the challenges in the contact centre from a leader and an advisors perspective. We’re pleased to say, our new report which details advice on addressing some of the challenges documented in the research series, is now available to download. In this customer service report, we summarise the key findings from the research series and describe the key initiatives we’ve introduced at Kura and Inisoft to address them.